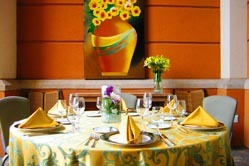 Every Meeting or Gathering is a Grande Event! 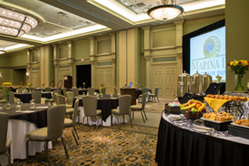 The Marina Inn at Grande Dunes offers several versatile options for your indoor or outdoor event accommodating meetings or events up to 700 guests. 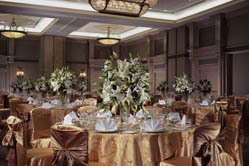 Our 5,100 square foot Nautilus Ballroom offers a rather elegant and luxurious atmosphere. Offering 10,150 square feet of flexible outdoor space with charming, all natural views of the waterway and the golf course. 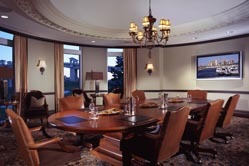 Truly private and unique, the Sand Dollar Boardroom is 600 square feet and offers a distinct environment with relaxing views. 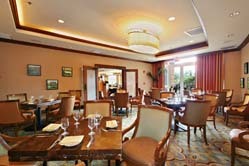 Perfect for a breakout or small meeting, the Coral Room is 600 square feet and offers outstanding views of the golf course. 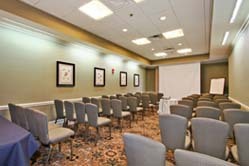 An additional option for a breakout or small meeting with 500 square feet and relaxing views of the Grande Lawn & golf course. 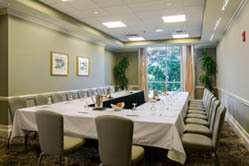 Located off of our signature restaurant Waterscapes, this intimate room is a relaxing alternative from the meeting/event space. 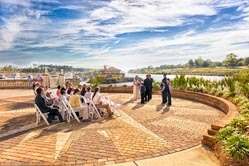 Utilize the attached patio for a relaxing indoor/outdoor event. 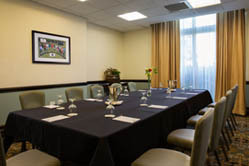 An additional option for a breakout or small meeting that is 250 square feet with relaxing views of the Grande Lawn & golf course. Will accommodate up to 25. A completely outdoor space with panoramic views of the marina and golf course that is perfect for a small wedding ceremony or reception of up to 50p. Please note that capacities listed for each venue represents the maximum number that each venue will accommodate. 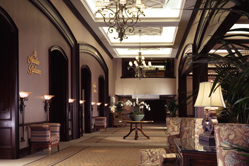 Audio visual needs and decorating requirements may decrease these capacities. A time for joyful celebrations, the holidays are a magical time at the Marina Inn at Grande Dunes exquisitely decorated in holiday décor. Event space books quickly for Holiday Celebrations so reserve your space today!